Herne Hill Velodrome has reopened in South London. Historically the pride of the national track cycling community and the venue of the 1948 Olympic cycling events, the original 1891 Velodrome gradually fell into disrepair and by 2010 a campaign was commenced to safeguard its future. 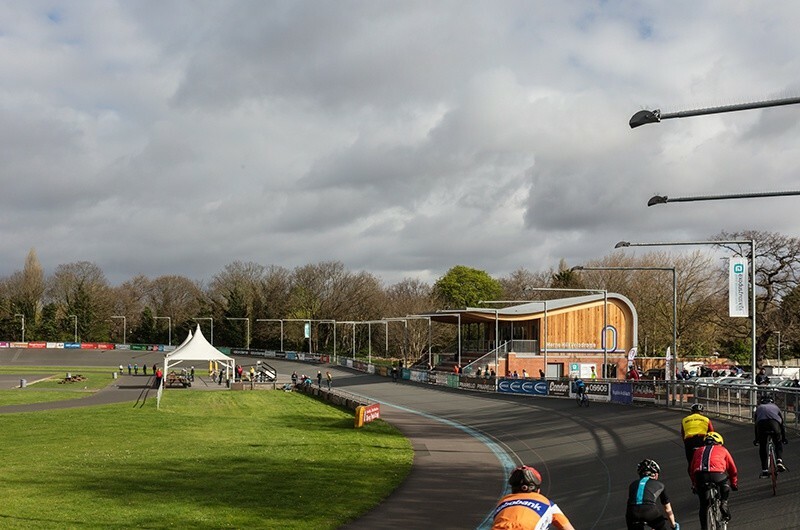 The new pavilion marks the end of the third stage of the Save the Velodrome campaign following previous initiatives to resurface the 450m track, develop a 250m junior track and install floodlighting, all having the combined impact of doubling usage numbers since 2012.